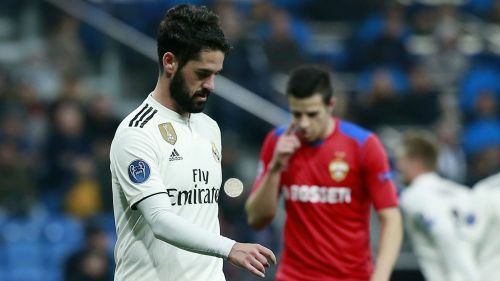 Isco remains on the sidelines after Real Madrid named a 20-man squad for Wednesday's Copa del Rey semi-final showdown with Barcelona. The Spain playmaker has found himself out of favour since Santiago Solari took charge at the Santiago Bernabeu. He was an unused substitute when the first leg finished 1-1 at Camp Nou on February 6. He was then out due to a back complaint but returned to training last week. The main source of intrigue over the Madrid line-up concerns who will start at left-back. Brazil star Marcelo played in the first leg but once again found himself left among the substitutes to the benefit of Sergio Reguilon during Sunday's 2-1 win at Levante. The 22-year-old defender has enjoyed a breakthrough campaign under Solari, starting six of Los Blancos' past seven games in LaLiga.